Earlier this week a local TV station reported that several board members have raised questions about expanding Brookview Elementary and reopening Oak Park Elementary. While the school board may choose to revisit the conversation at its September 13 meeting, the school district’s administrative recommendation remains unchanged. As does the data to support it. Read more. We have a tradition of starting each year out with a fun video showcasing our students and staff. Check out this year's video, "Count On Me" to see how relationships between students and staff make a huge difference in helping students learn. 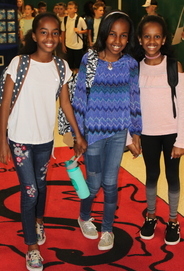 Sixth and ninth graders were welcomed back to school in style on Monday. Special orientations were held at both middle schools and Stillwater Area High School to help students as they transition to their new buildings. As part of the Link Crew and Where Everyone Belongs (WEB) programs older students serve as mentors to help their younger counterparts discover what it takes to be successful in school. The incoming students toured the buildings and got to know each other during small group activities. They will meet together throughout the year for social activities, study groups, and more structured activities. See more photos on Facebook. Watch the video of SAHS teachers greeting ninth graders on their first day. 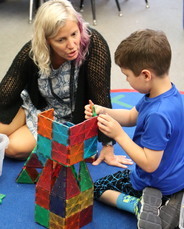 Elementary teachers took time this week to get to know their students one-on-one before the first day of school. Teachers met with each one of their students as part of Ready, Set, Go conferences on Monday and Tuesday. 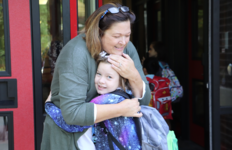 They had the opportunity to get to know a bit about one another, while also informally learning about each child's academic strengths and opportunities for growth. Read more. Share your experiences: Tell us what you thought of the Ready, Set, Go conferences by completing this short, online survey. For pictures from the first day of school for elementary students visit our Facebook page. The state of Minnesota is making big changes to its system of accountability for public schools. Yet through all the change, one thing remains the same: Stillwater students continue to perform at high levels. Under the new North Star Accountability System, six district schools have been recognized for being in the top five percent of schools in the state for academic progress or consistent attendance. Learn more. School board members and officials from the city of Marine on St. Croix have reached a tentative agreement on the sale of the former Marine Elementary School building and grounds. A purchase agreement is expected to be brought before school board members and city council members for approval in the coming weeks. Details of the sale will not be public until that time. Read more. August 31 & September 3 - No school. Have a safe and happy Labor Day Weekend!